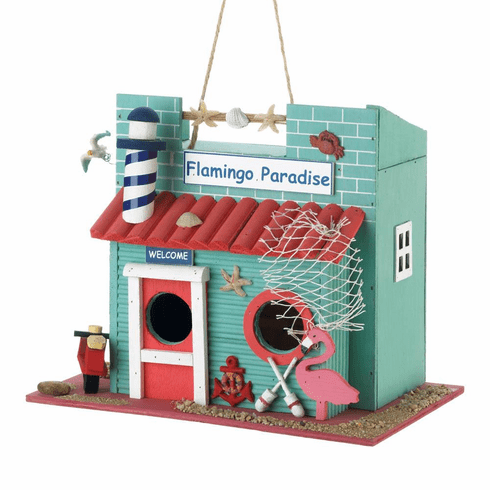 A fun flamingo hangout by the sea, this fully functional birdhouse welcomes your fine feathered friends. Two 1 1/4" holes invite nesting birds in and keep larger ones out. Seafoam blue, navy and bright coral hues make this birdhouse a cute conversation piece. Weight	1.4 pounds. 10" x 7" x 8.5". Eucalyptus Wood. UPC Number: 849179038212.